Habitat gardening is important to us. The north side of our front yard is a certified National Wildlife Federation Backyard Habitat. We are always looking for ways to add native plants. Buckeyes are native throughout much of the United States, depending on which variety is chosen. 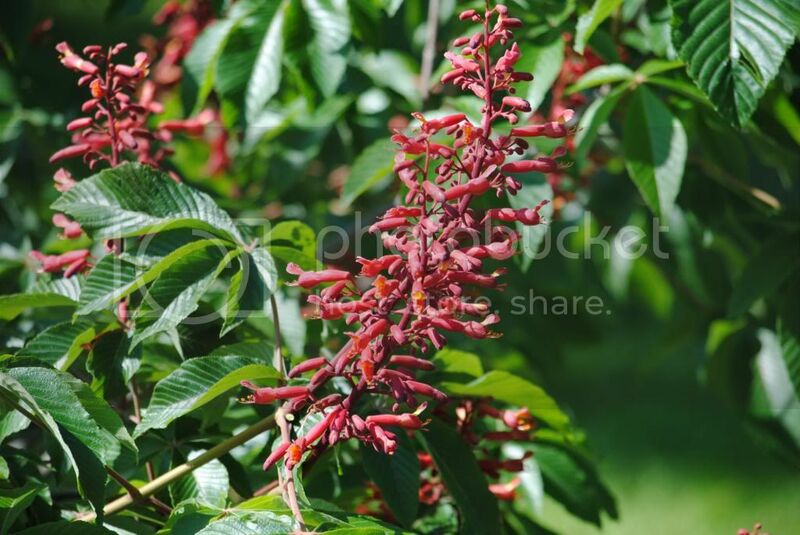 While there are several types that grow well in Arkansas, we love the Red Buckeye. This small tree is stunning in Spring! We've had ours for about four years. It was purchased from Mary Ann King of Pine Ridge Gardens when it wasn't much more than a twig. You can see from the time stamp, this photo was taken May 2nd. Buckeyes are in the family Hippocastanaceae. Valued for their early spring flowers, they are an outstanding source of nectar for early migrating hummingbirds. While in nature, buckeyes are usually understory trees, with some extra moisture the first several years, they do quite well in full sun. They are even pretty when we have a late snow! A favorite memory from childhood was visiting my uncle at the VA hospital in Fayetteville. There was a buckeye tree on the grounds and we would walk down to it with him. When we could find them, we would each place a buckeye seed in our pocket. The buckeye seeds are supposed to be 'good luck' if you carry one with you! 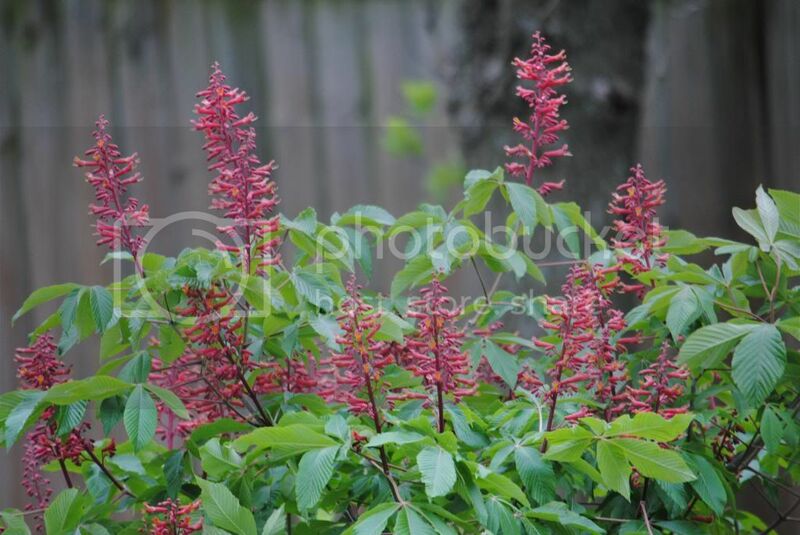 Here's what else Mary Ann King of Pine Ridge Gardens has to say about the Red Buckeye. The first red buckeye I saw was so outstanding I had to get a closer look. It was grown as a shrub, perhaps cut back every year or so, and was about 3 feet tall. It seemed every branch ended in a mass of red flowers. 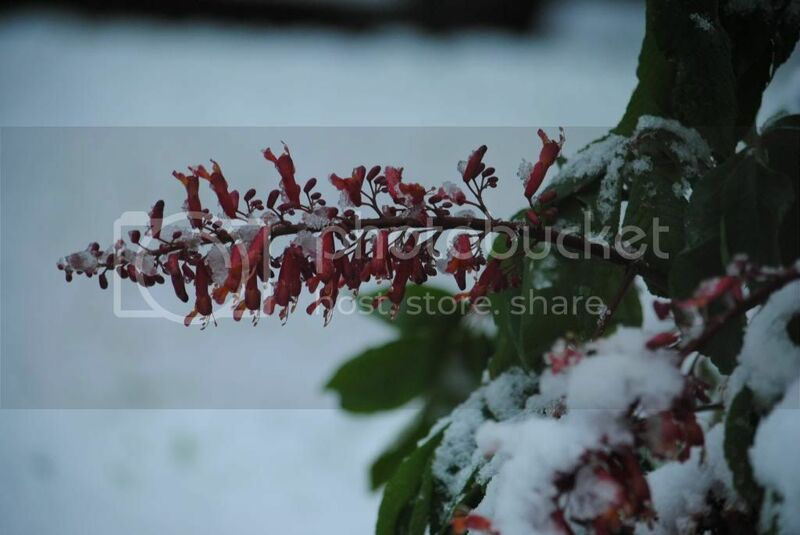 This can be grown as a shrub or small tree. Native to Arkansas & much of the U.S. with the largest recorded specimen being in Kalamazoo County, Michigan. When planning your garden, look for ways to incorporate as many natives as possible! 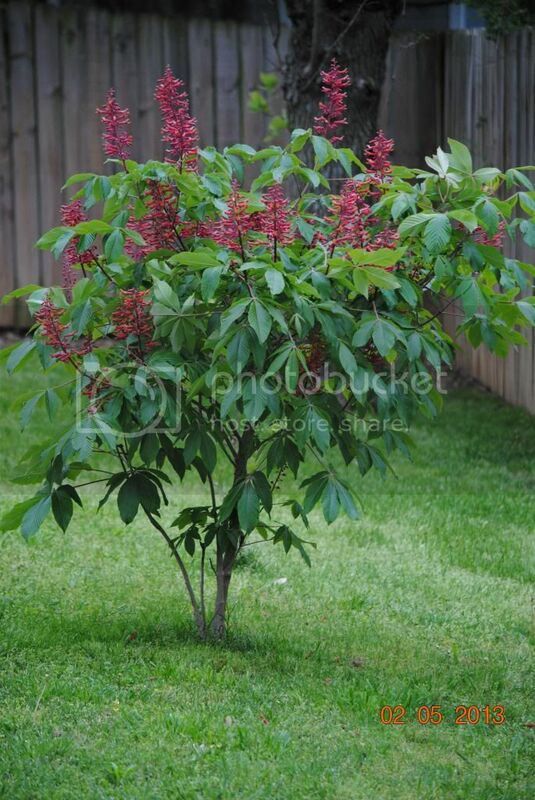 Buckeye trees are a wonderful option! So pretty! I'll be looking out for one of these at our nursery. Here's a dumb question. Do they get some kind of acorn or pod on them...like a buckeye tree does? Or is that what you meant by the seeds you put in your pocket? Also, do they lose their leaves in the winter? Do the flowers smell? How long do they last? I love this plant. It would look great in my front yard because it's the same color as my front door. Thanks for coming by and partying with us at Fluster Buster's Creative Muster. Love this! Would love to have you share your post at our Ladies Only Blog Share link party. Our theme this week is summer! Visiting from What's Shakin' hop!